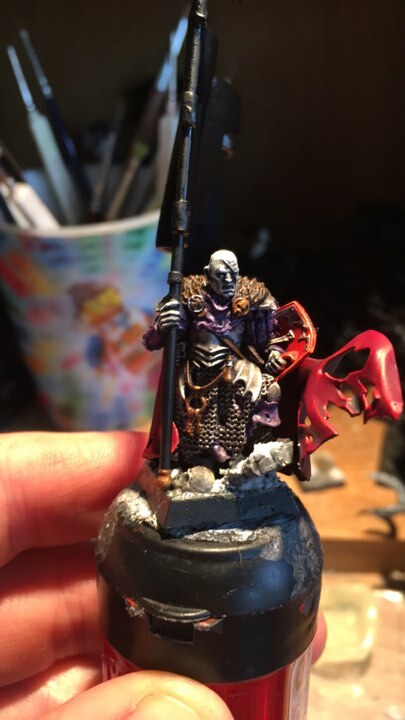 Another installment (a little late as usual) of last months hobby stuff. And it has been a big month for the Ammertime guys! Man we have done a lot of hobby! This month I have been doing preparation for Giant fanatic 2017 (GF)! For this years GF I will bring my WDG army. Mostly because I want 2017 to be the year when I play strategies that are more offensive. So for my army I only need to make/paint 2 units to be ready. 1 Wasteland warriors unit with halberds and 1 lord of chaos on steed of lust. 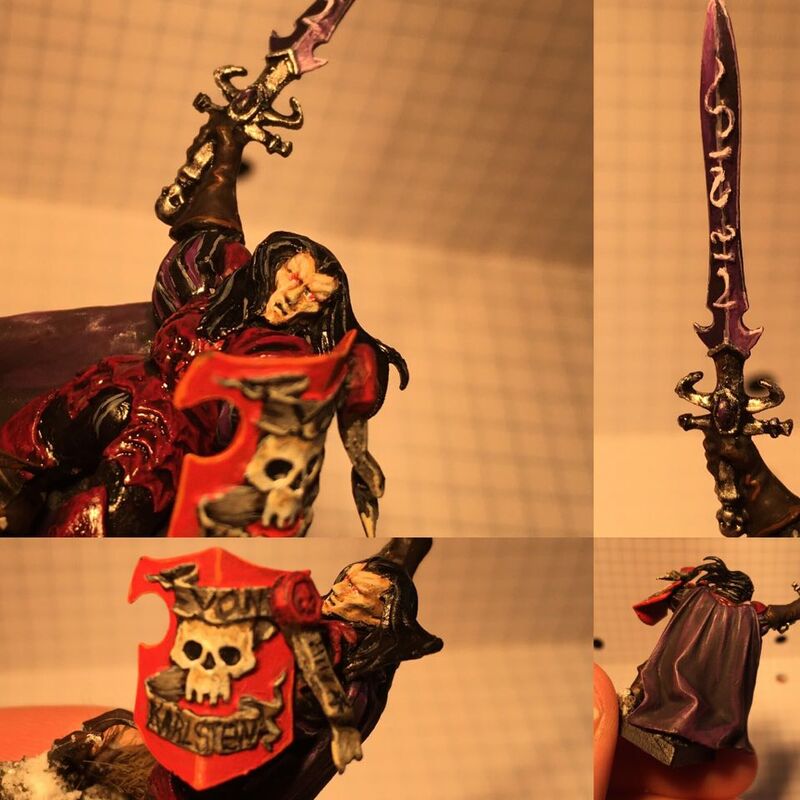 So the first problem was that I did not have any halberds left after I made all my chosen earlier this year. Giant fanatic is quite strict on WYSIWYG. 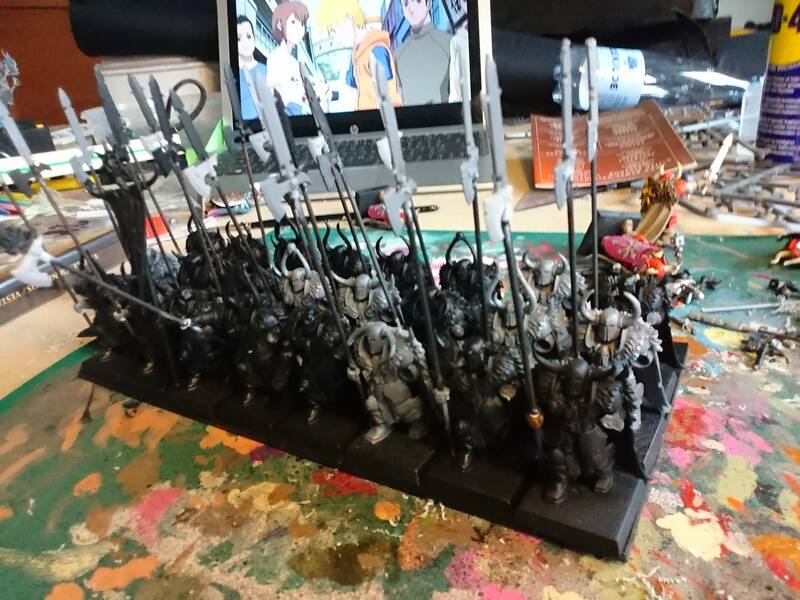 Therefore, I had to find a solution how to make 25 Warriors with Halberds! I’m not bringing 25 warriors to GF but I want 25 so I have a full unit of them if I ever need it in the future. I have made the halberds from the swords and axes in the warriors box an put them on metal rods. I really like the result of them even with the very long poles. Now they only need to be painted. Upcoming theme for the unit is Wrath (red) combined with gold armor! 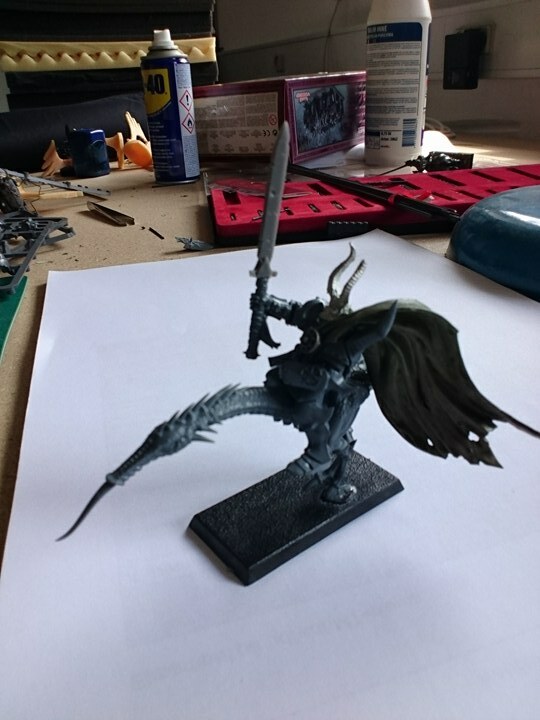 The last model I needed to make was the Lord of Chaos on a Steed of Lust. Its not all done yet, but close. 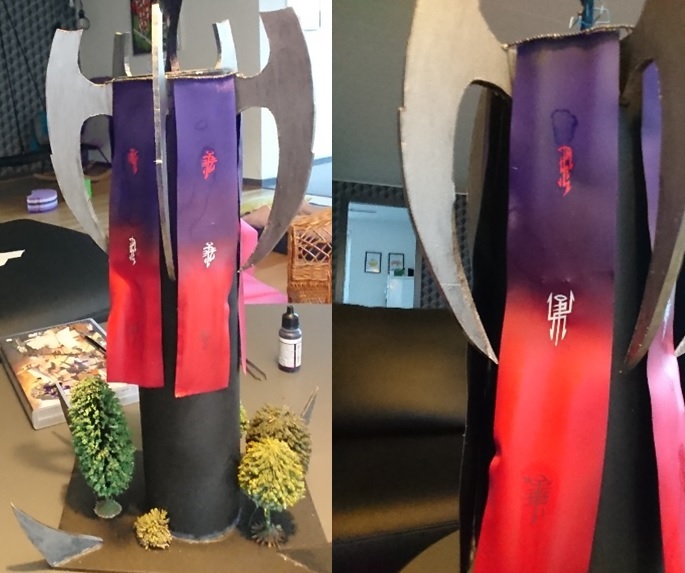 The banners I custom made from leftover plastic that I formed in hot water and the spikes are 3 mm Hardboard. 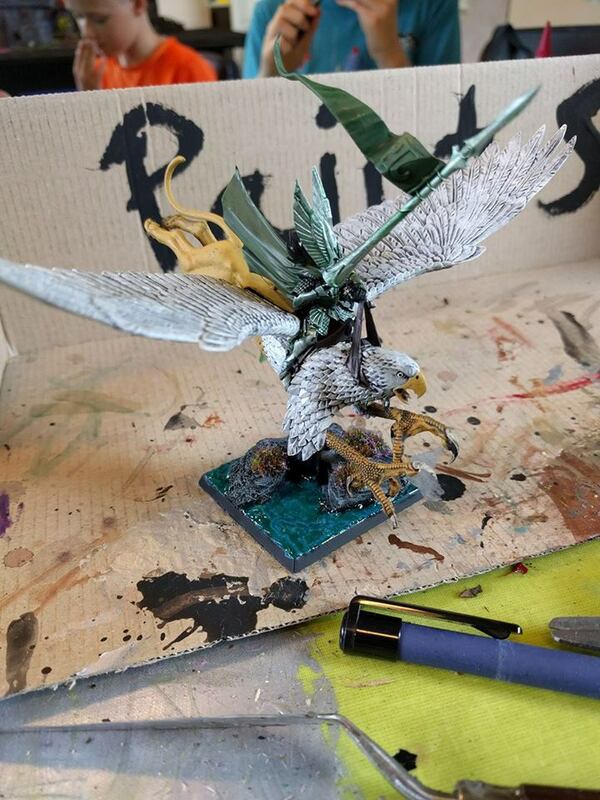 The paint effect was done using an airbrush. The last thing I need is to make the base so it fits my new gamemat. 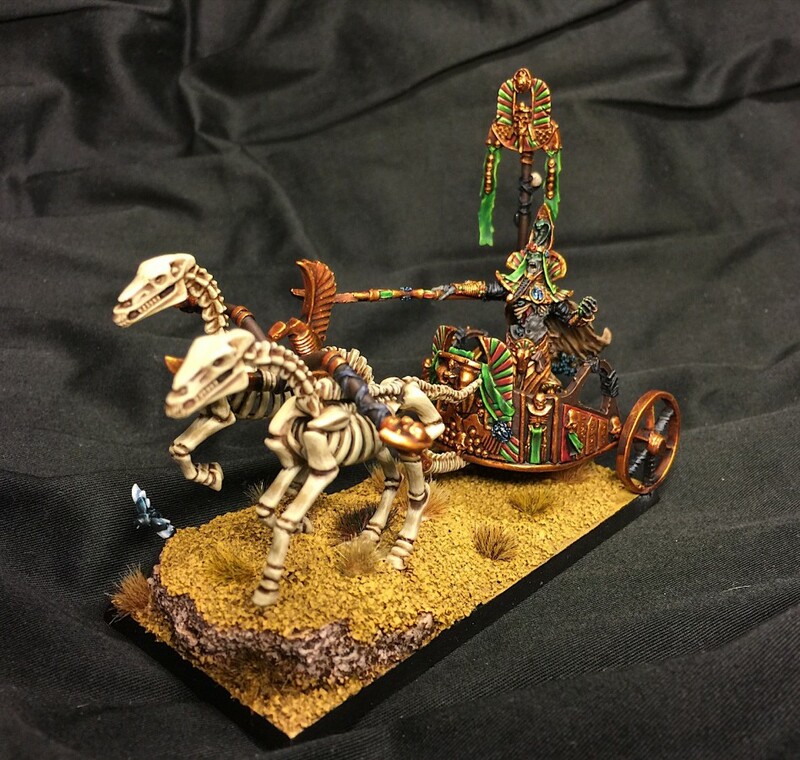 Settra is probably one of my favorite models ever produced, next to the casket of souls. It took a long time but I finally finished him as a pharaoh in chariot. 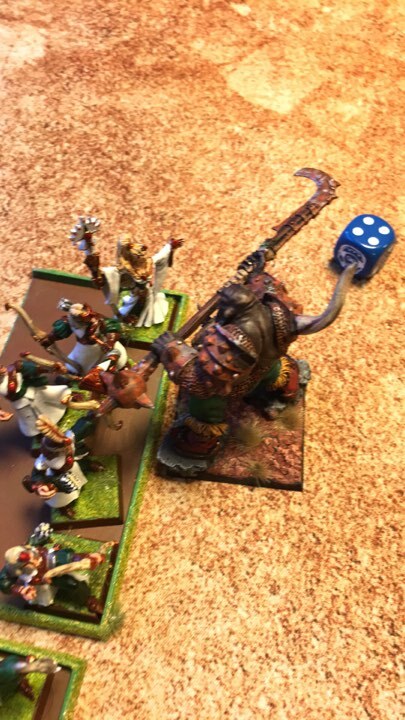 This month I have been working on preparing for Giant Fanatic, trying to get something different on the table. 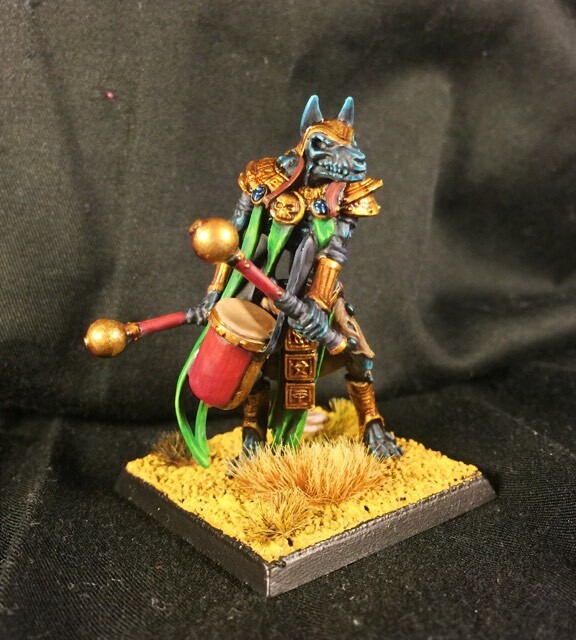 I'm expanding my Shabti unit and finished one more so far. 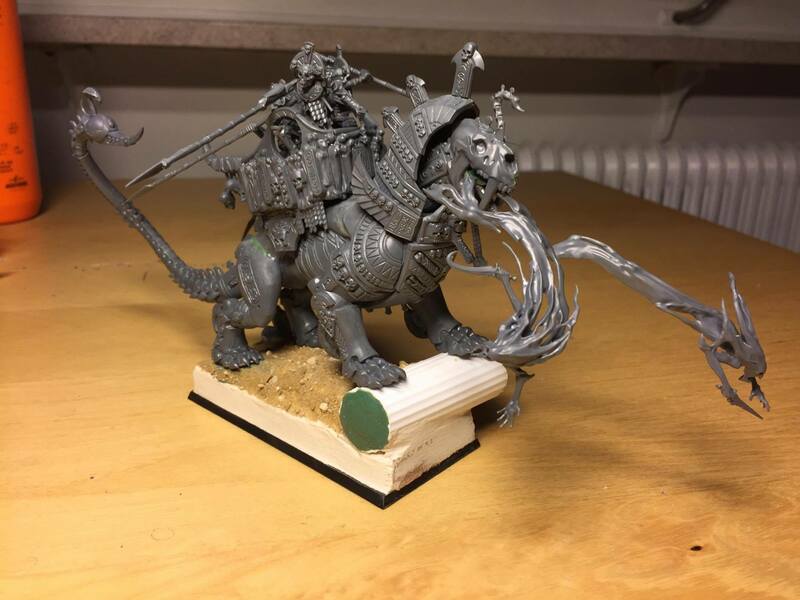 I also started converting my second warsphinx. 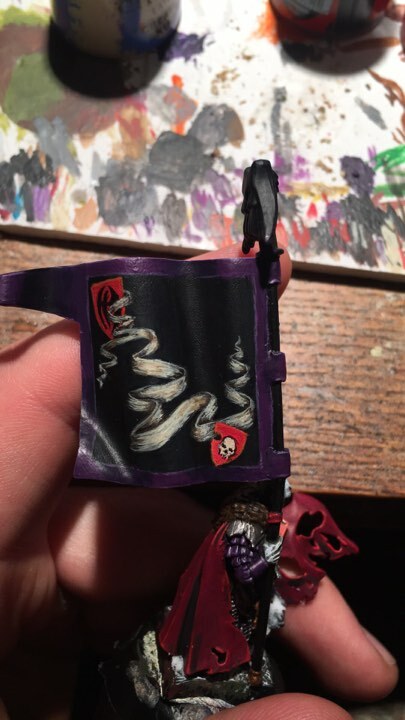 I'm having some trouble with the angle of the spirits but I hope that it will look okay after I raise his base up a bit. I have fully magnetized my sphinx (below). As well as preparing the rules and scenarios for GF 2017 and podcasting I have also managed a fair bit of Hobby! 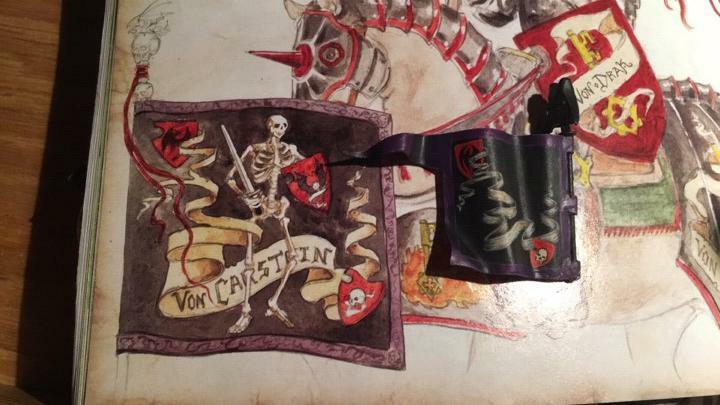 I finished my "Vlad von Karlstein" model and made a start on his banner bearer. Below is the eventual image of the banner that I have taken the inspiration from. No idea how I will manage the skeleton but I will just have to be brave! In other news I am naming and Shaming @Autumnus Ogre Khan who failed to kill the frail elf lady in combat with the Big D3 wounds mace! Afterr only 3 hits and 2 wounds I started laughing because I thought she had survived ( bottom of turn 6 of of the game). Much to my dismay hidden lists revealed D3 wounds to which Oliver promptly rolled 2 2s, meaning the wizard survived and the Ogre Khan was left facepalming. I have spent all summer working on my webshop: www.movementtray.com, and it is finally done and up and running. Please take a look! 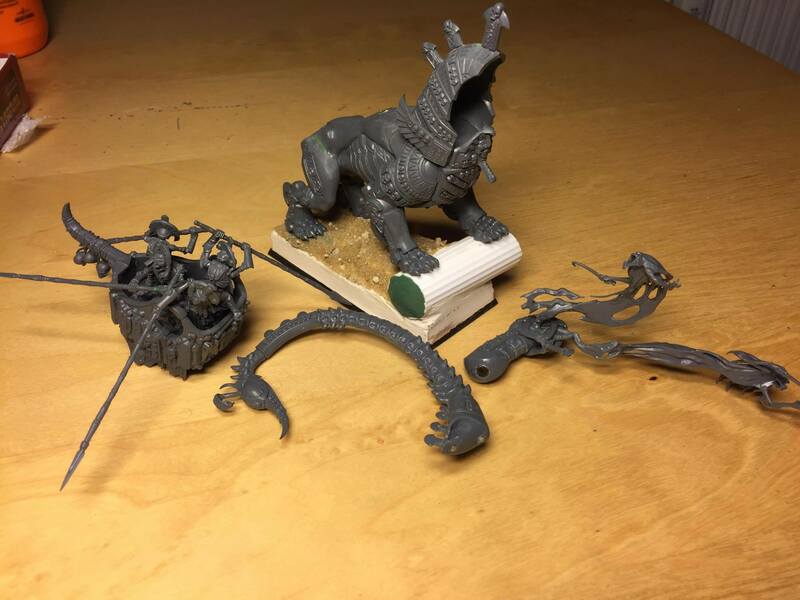 Additionally I have been preparing for the most awesome yearly tournament Giant Fanatic 2017, where he I hope to bring a fearsome new Beast Herd army build. I have been working on an Elf Prince model. 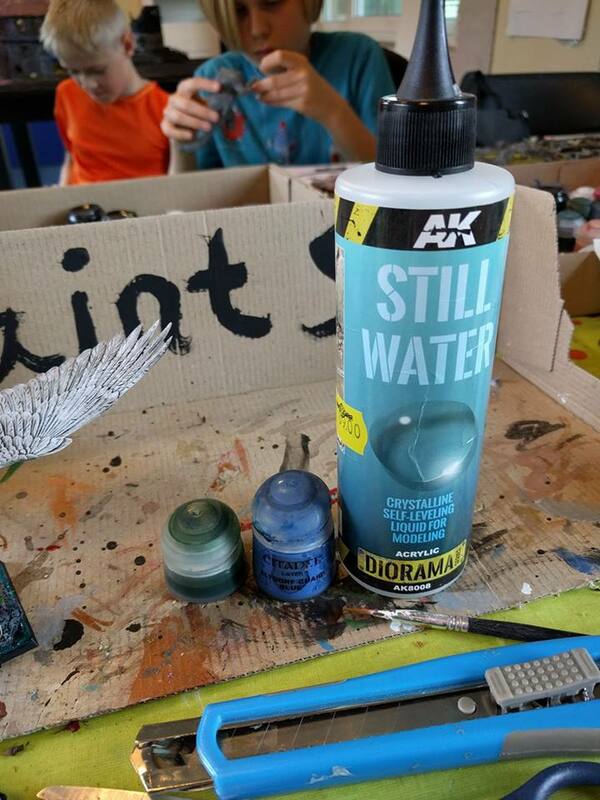 The water effect has turned out quite nicely using the still water material. 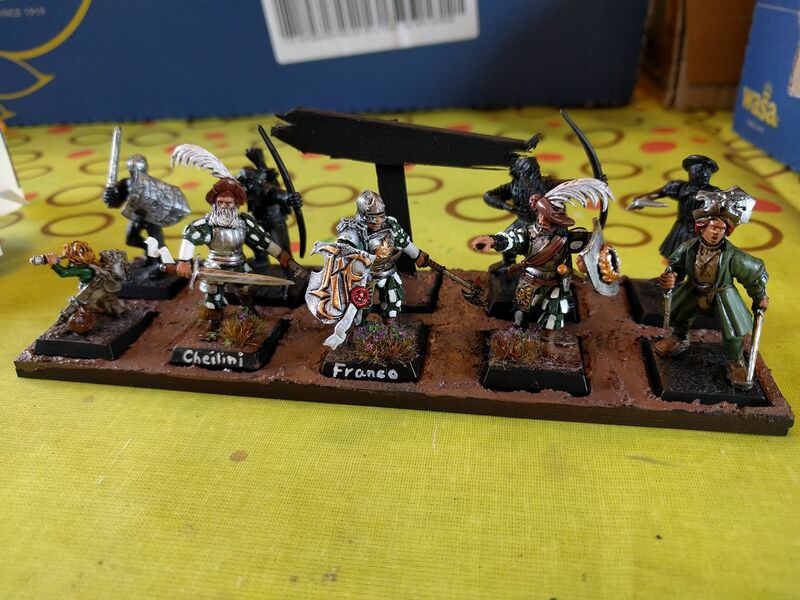 I also have been working on a Mordheim band at the youth club where I work. I have been teaching the children about Warhammer the easy way through Mordheim. The hope is that they might slowly start 9th age!